Shuffle the deck and deal the cards to each player. Players take turns clicking on their decks to turn over a card. Whoever has the highest card takes both cards. (2 is low and ace is high.) If the cards are the same, each player places three cards face down in the middle, draws another, and places it face up. The highest card wins all the cards. The game ends when both players run out of cards. If you want to play Danny Phantom Dueling Decks games online you have come to the right place! 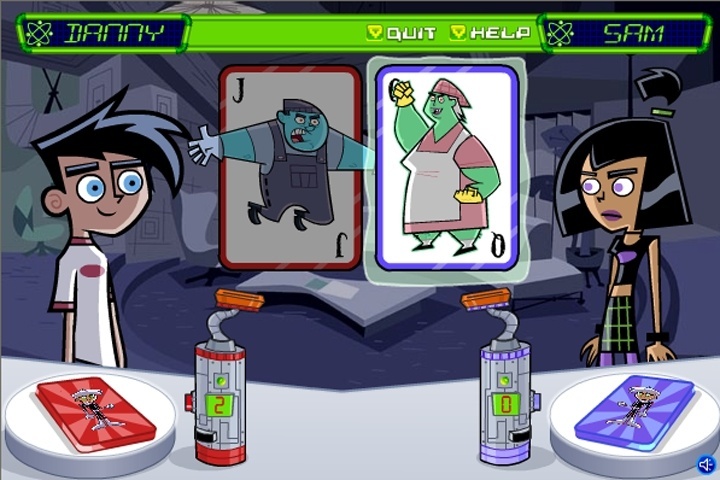 GamesLoon adds new Danny Phantom Dueling Decks games every week. This is your game portal where you can find the biggest collection of free Danny Phantom Dueling Decks games online. Do not forget to rate our Danny Phantom Dueling Decks free online games while playing!